How well does your brand resonate with your target audience? If you’re not sure and you’re losing sales, you need a brand audit. Don’t let your competitors elbow you out of the game. It’s easy to measure key metrics online. Keeping track of visitors and conversions is like a thermometer for your business. But what about those elements that are harder to measure? You need to know how your brand looks from the eyes of your customers. How they perceive your brand will determine your success. But it’s impossible to understand brand perception without a brand audit. Why Is a Brand Audit Important? 95% of small businesses fail on social media. This is in large part because they have no proper brand positioning. They lost all their sales and didn’t see it coming. When you understand your brand’s position in the market, you can prevent future disasters. That’s because you can identify problem areas and address them directly. You get a peek at your brand through the eyes of your ideal customers. You’re about to go on a journey to better understanding your brand. In five easy steps, you’ll have visibility into how you can adjust your positioning. And you can conduct another audit at any time. Create a framework by making a list of all elements that influence the success of your business. This includes your objective, competitors, strengths, and weaknesses. Include market components like industry trends and differentiators as well. There are many more factors to consider. Try to organize these into a logical arrangement. You will use these considerations during your audit. You’ve been successful with customers in the past, but do you know why? You can ask your customers about their experiences and perception of your brand. The more information you get, the better you will understand the customer experience in general. Tracking down customers for feedback isn’t easy. But anonymous surveys with incentives should get the ball rolling. Combine open-ended questions with multiple choice to get the best qualitative results. Your website analytics will reveal a lot about what customers like and dislike about your brand. They may solidify some of the qualitative data from your customers as well. Study which touchpoints customers are using to interact with your brand. If 90% of your traffic comes from social, you might want to look at your email marketing strategy. If you’re missing a lot of sales in one area, it may be because of your competitors. Study how your competitors differentiate themselves in the market. Do they have better branding on products similar to yours? You can create new strategies to address these pain points. You can use your new understanding of customers to develop better, customer-centric campaigns as well. Place all your data into your original framework. You should see obvious problem areas. Create action items to address each of these concerns. Consider conducting an audit annually. 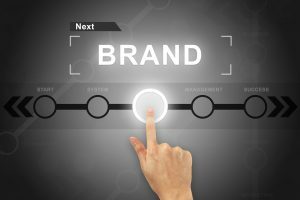 Before long you will see trends and improvements in your brand performance. In time, you will be delivering ideal products and messaging to your target audience. There are dozens of elements that influence brand perception. You can’t capture them all in a personal audit. Expert auditors provide the tools and services you need for an in-depth understanding. They provide results that can transform your business. They can train your teams on reputation management as well. You can get started right now, without paying a dime. Get a free audit from ReputationResults and discover what your business is missing.